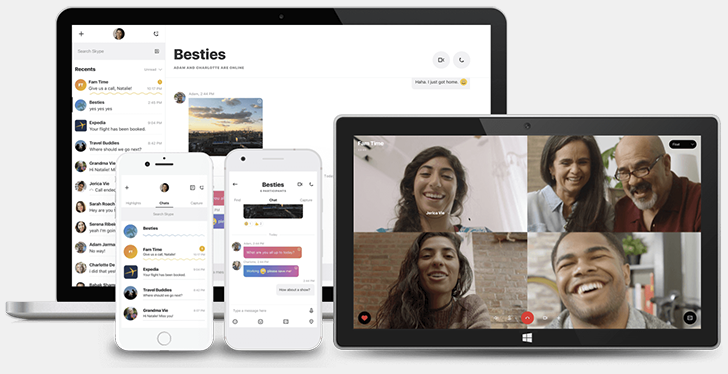 Skype just introduced PayPal integration less than 24 hours ago, but that doesn't mean the Microsoft-owned company is done adding things. Version 8.3 of the Skype Android app has implemented a host of new features, including themes, activity indicators, and chat reordering. Reorder your chats - sort your chats by recent, unread, or active. First up: themes. This is pretty straightforward; the light theme features a predominantly white UI, and the dark theme is, well... dark. If you don't like being blinded by your phone at night, you'll probably prefer the dark theme, but if you like the modern white look, keep the light theme. You'll get to choose your theme when you open the app after updating to v8.3. left: Note the green dot. right: Chat reordering. Activity indicators are pretty simple to understand, as is chat reordering; the former shows a green circle on the bottom right of an active user's profile picture, and the latter enables you to organize chats by most recent, unread, or currently active. The update is currently rolling out on the Google Play Store, but if it hasn't hit your device yet, you can grab Skype v8.3 from APK Mirror.